Scandinavian Airlines (SAS) has reached an agreement with Regional Jet OÜ, a joint venture of Estonian carrier Nordica and LOT Polish Airlines, to start operating four Regional Jet’s ATR 72-600 turboprop aircraft on SAS flights from Copenhagen starting August of this year. SAS used to sublease regional turboprops from Danish company Jet Time but had to look for new partners after Jet Time cut its fleet, Air Transport World reports. After negotiating with several potential sublessors, the Scandinavian carrier ultimately settled for the Estonian airline. The six-year agreement may be canceled after four years. The ATR 72-600s will be painted in the SAS livery. The flight crews will mostly be based in Copenhagen. Regional Jet’s Estonian parent Nordica stresses that the arrangement is a sublease agreement. “We are exporting an aviation service without any associated commercial risks to ourselves. This means that the number of passengers on the flights to be operated by these aircraft will no longer be our concern, it will be SAS’s concern,” Regional Jet CEO Sven Kukemelk explains. Russian Aviation Insider contacted Nordica to inquire where Regional Jet was going to take the airliners for SAS from, seeing as neither the Estonian airline nor its Polish partner currently operates any ATRs. 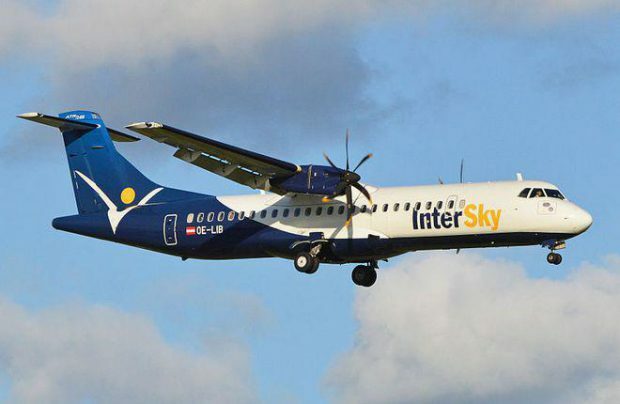 A spokesman for the carrier explained that so far there is certainty about a single ATR 72-600, which is currently operated by InterSky of Austria. The aircraft, serial number 1038, is expected to be registered in Estonia with the code ES-AAB. “Regional Jet and SAS are indeed working on an agreement that would allow us to operate ATR 72-600, initially on the route between Tallinn and Stockholm, and eventually on other routes as well.” the Nordica spokesman. “The flights would have to be carried out in the interest of both partners, because they would carry both Nordica and SAS passengers. At this point we do not have any more details on the exact number of aircraft, nor on the dates when we will launch operations, but both partners are determined to start flying as soon as possible.” He also mentioned that Nordica is planning to employ mixed SAS/Regional Jet flight crews initially, until its ATR fleet expands sufficiently to warrant all-Regional Jet crews. In the longer term, Regional Jet is planning to use its ATRs on other routes, and in cooperation with other partners. “We know for sure we will not be wet-leasing them,” the Nordica spokesman noted. SAS is the third large customer for Regional Jet. The current arrangement spells new employment opportunities for more than 100 crew and dozens of new jobs in Estonia’s aviation sector. “Nordica’s strategy calls for more such agreements,” the spokesman noted.